Hammer toe is most often caused by wearing compressive shoes. It might also be caused by the pressure from a bunion. 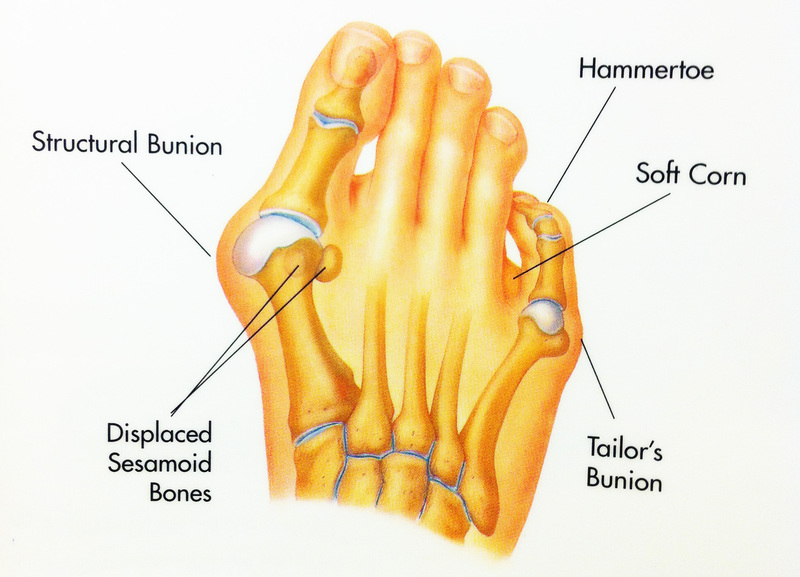 A bunion is a corn Hammer toe on the top of a toe and a callus on the sole of the foot develop which makes walking painful. A high foot arch may also develop.